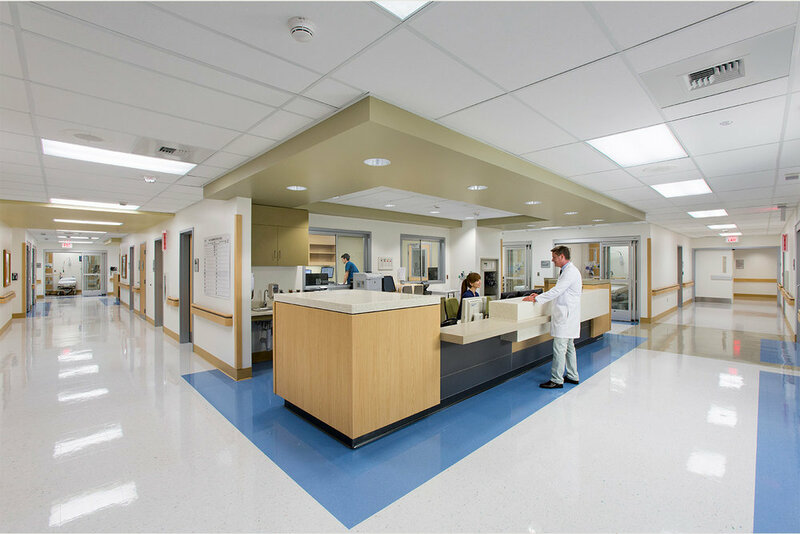 TORRANCE, CALIFORNIA, USA As part of a design-build team, KMD collaborated with Los Angeles County and the contractor to create a two-story addition to the existing hospital while the adjacent building remained fully operational. 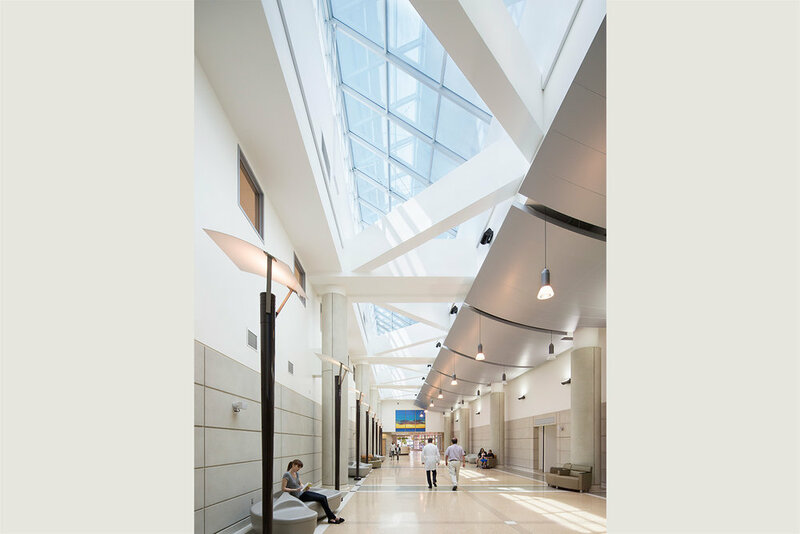 The addition adds 190,000 SF of new facilities to the hospital, including surgery and emergency services, a mechanical penthouse and an eight-story elevator tower connected by a 150-foot-long, two-story pedestrian spine with skylight to the existing hospital. 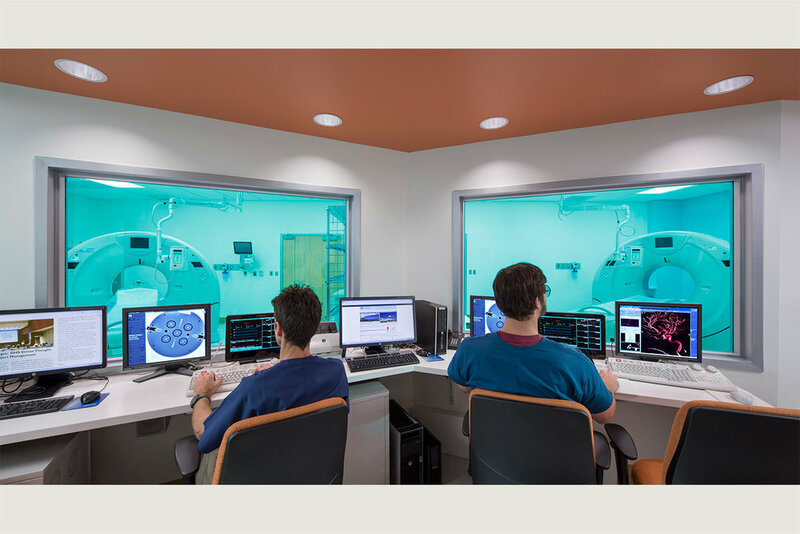 The first floor program features the Emergency Department, including adult and pediatric triage, observation, diagnostics, and critical care. 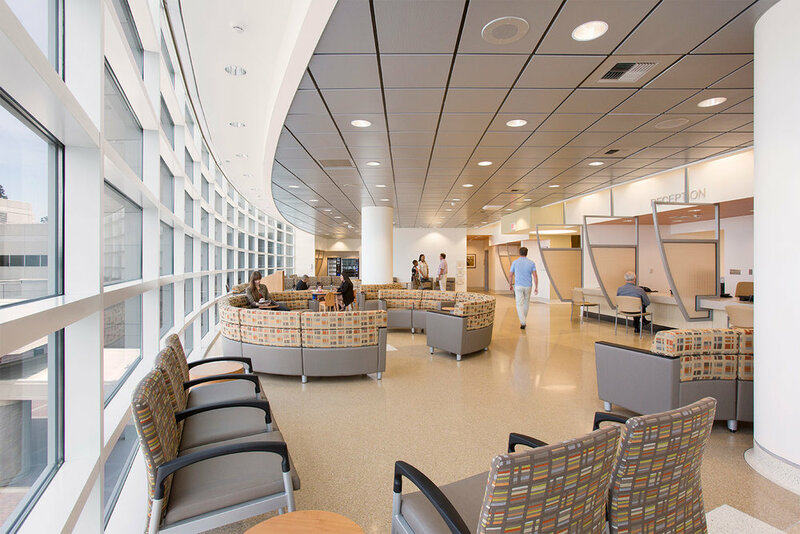 The second floor houses the outpatient surgery staging area, 16 new operating rooms, and a post-anesthesia care unit. A partial basement contains central sterile processing. The building addition provides new amenities and access, such as a new loading dock and ambulance entrance immediately adjacent to the west side of the hospital. 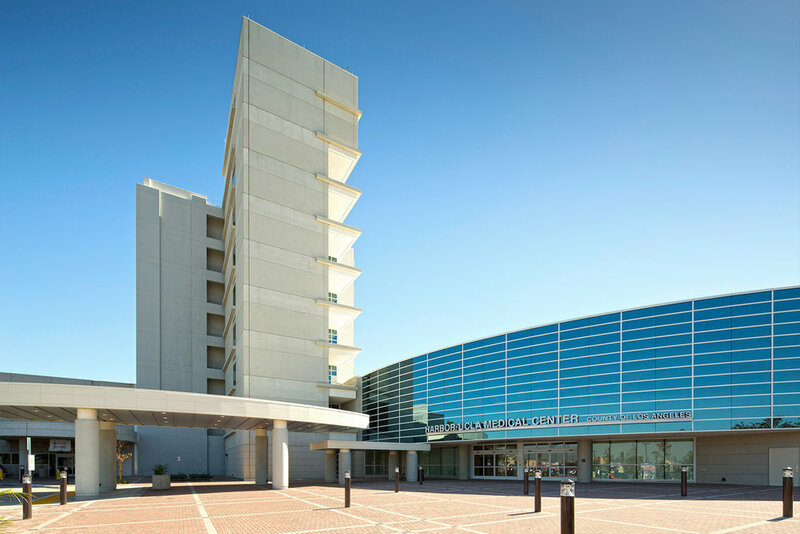 Additional site improvements include a new, freestanding elevated emergency helistop, a new 540-car parking structure, central utility plant and emergency generator upgrades, new surface parking lots adjacent to the hospital, public and service driveways, and a new hospital entrance plaza.